Nearly two months ago, CMBG3 Law reported on a trial against Johnson & Johnson in New Jersey involving allegations that the company’s talcum powder product was contaminated with asbestos fibers and caused plaintiff Stephan Lanzo II’s mesothelioma. The plaintiff claims that he used the talcum powder products from his infancy throughout his adulthood. Today, closing arguments concluded in the case and the case was given to the jury for deliberations. During the trial, the jury saw studies from Johnson & Johnson showing that the talc used in the company’s talcum powder products was never contaminated with asbestos fibers. Johnson & Johnson pointed to studies conducted on Italian workers at the company’s talc mines and mills in Italy, which found no cases of mesothelioma among the workers. Nor were there any cases of mesothelioma found among Johnson & Johnson’s workers at its talc mines in Vermont. One of the more significant issues at trial was whether tremolite fibers found in samples of Johnson & Johnson talc were asbestos fibers or non-asbestos fibers. The distinction between the two fiber types is complex and relies heavily on scientific principles that the jury heard extensive testimony about. In response, plaintiff’s attorneys stated during closing statements that the testing methods used by Johnson & Johnson were designed not to detect toxic minerals considered “asbestos” fibers and the company hid this fact from consumers and regulators. Counsel for Mr. Lanzo alleged that Johnson & Johnson specifically sought out tests that could only detect asbestos above certain levels – levels that it know would never be crossed by its talc products. This is the second trial of this kind linking Johnson & Johnson talc products to mesothelioma and the first involving a male plaintiff. 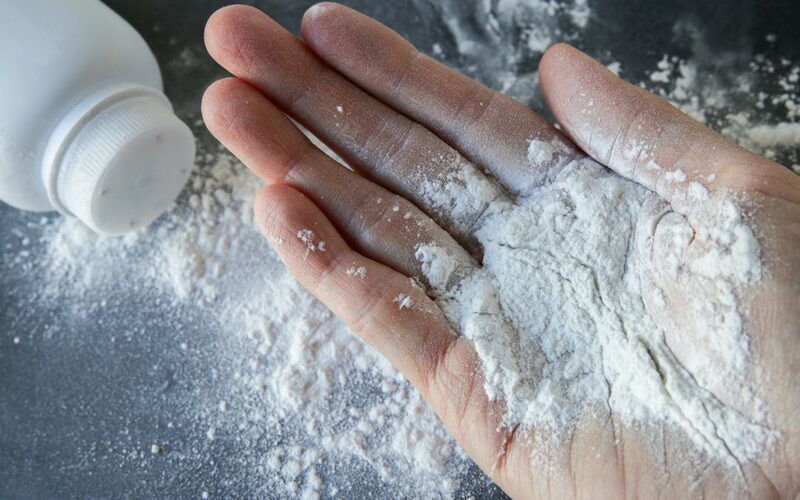 The first case in which it was alleged that a plaintiff developed mesothelioma as a result of asbestos-contaminated talc took place in California. The trial ended in a defense verdict in Los Angeles Superior Court in November 2017. In that case, Johnson & Johnson successfully argued that Herford’s exposure to asbestos was from other sources, including her father’s clothes.